This month's Mindfulness cards are playful, tongue-in-cheek. Although not a traditional mindfulness prompt, "Chocolate" made the list by popular vote. I knew it was only a matter of time before I would tackle this prompt. I admit that I borrowed this idea from a spread I did in an altered book round robin several years ago. That book's theme was "My Imaginary Vacation." I envisioned my Imaginary Vacation to involve loads of decadent chocolates and Johnny Depp. For these chocolate cards, I found an image of a box of chocolate truffles and cut them down to 4x6 size. 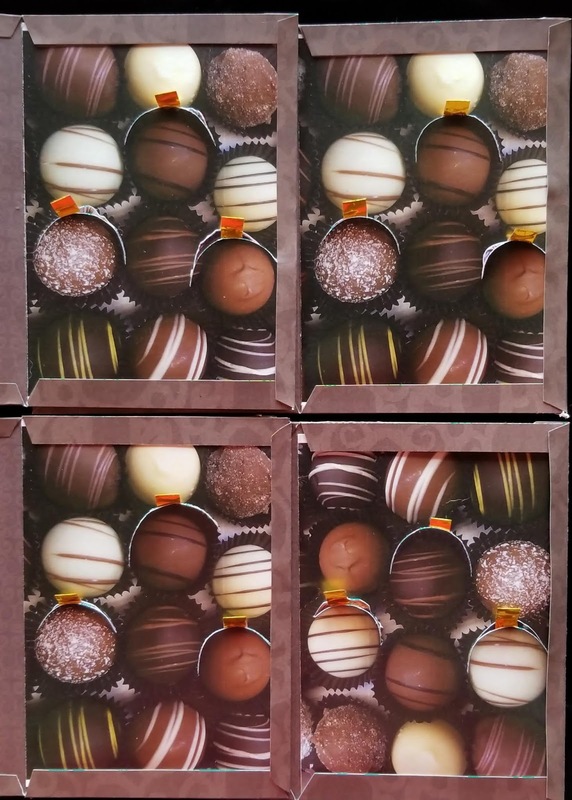 Through painstaking trial and error, I created a template for a 3-D looking box to house the truffles. . I had already asked my swap partners who their celebrity crushes were, so armed with this information, I scoured the internet for photos of their celebrity crushes. Now, this is where the fun comes in. 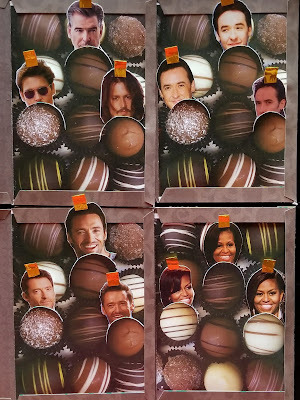 I sized the heads of the various celebrity crushes to fit the chocolate truffles. Then, I created pull-outs with their heads! 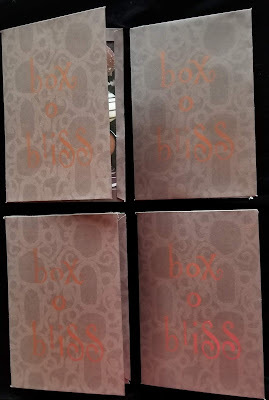 Johnny Depp still remains a celebrity crush of mine, but I had also had to include Pierce Brosnan in my Box o' Bliss!